This unique contemporary home has so much to offer! NEW, NEW, NEW so many updates and in fabulous condition. New vinyl siding, gutter guards and down spouts, new heat pump (2013), new well pump with wiring (2016), new water heater(2010), new whole house water filtration system (2016), new pressure tank (2016). Featuring lovely hardwoods on entry level, newer carpet up and down, gorgeous updated baths on all 3 levels. Also includes a hot tub on patio, only 7 yrs old. New stainless steel appliances and more! 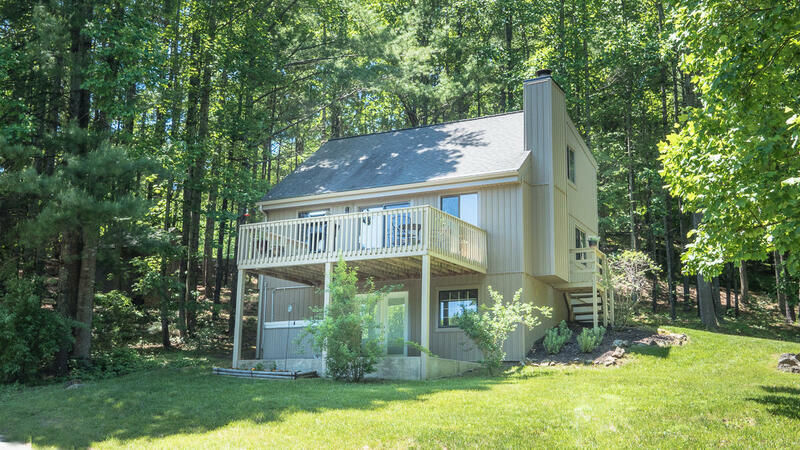 This home has the feel of a mountain getaway with a convenient location. Lower level could serve as Master Suite! check out the 3D Virtual Tour!